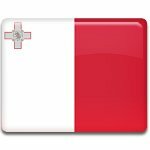 September 8 is a national holiday in Malta. This day is locally known as il-Vitorja, that in English means Victory Day. Celebration of Victory Day is connected with various events, that took place in the history of Malta on September 8. The first event took place in 1565, when the Knights of St. John (the most famous Roman Catholic military order) defeated the Turks in the Great Siege of Malta, that lasted from May 18 till September 11. The second event, that is also timed to celebrate on September 8, is the rebellion against the troops of the French Consulate in Malta. This event took place in 1800. The last event marking Victory Day is surrender of Italy during World War II in 1943 and its turning against its former ally, Germany. Celebration of Victory Day is also connected to the Nativity of Mary, that is why this holiday is also known as il-Bambina (Baby Mary). The major feasts are held in numerous cities across Malta. The traditional event of the day is boat races, that are organized in the Grand Harbor (or Port of Valletta), the natural harbor of Malta.